At the age of fifteen, still in High School, he starts painting and diligently visiting the Louvre Museum, while reading Fromentin’s studies of ancient masters. Only in 1942 did he seriously embrace the artistic career and become a student of Othon Frietz. He appears for the first time at the Tuileries Fair in 1943. He is then attached to the Service of Evacuation of National Museums’ Artworks. 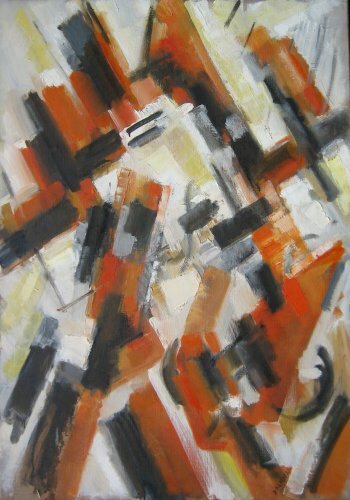 He belongs to the innovative group «L’Echelle» and wins a Young Painters Award in 1948. He integrates elements borrowed from modern life, such as a sewing machines, into his compositions which he transposes into a play of tuned-down lines and harmonies.